Our mixologists have gone and done it again! 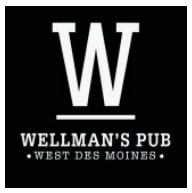 They've created some of the tastiest cocktails that we've ever had here at Wellman's Pub & Rooftop in West Des Moines. Take a gander at our coctail menu and let us know what you think. And then come in to try them at our West Des Moines location.